By now I am guessing that the majority of us are in the final stages of the ol' back-to-school transition. 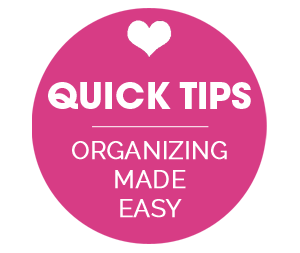 I find this to be the BEST time to focus on organizing with kids, routines, schedules and chores. Especially with homework and after school activities, life can get crazy and responsibilities can become overwhelming. 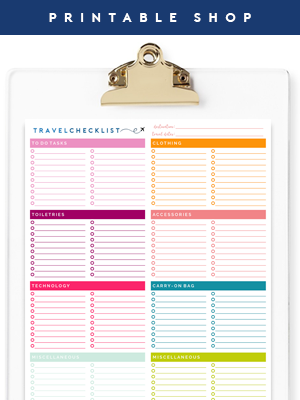 I have tried a variety of different chore charts, routine printables and expectation checklists over the years. Some have worked great, others haven't lasted more than a few weeks. And now that the boys are back in school full time, we have had a few snags in our evenings and mornings, so I have been frantically trying to put something together to re-adjust. Then wouldn't you know that my dear friend Megan read my mind, and did much of the work for me. And for all of you also! 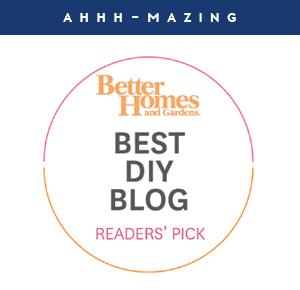 That's right, not only did she put together about the cutest chore management system I have ever seen, she also shared all of the easy steps with us in the post below. And even better, she created some ridiculously darling printable stickers that we can just print and use! This gal is a gem, so a huge THANK YOU once again to Megan. Be prepared to fall in love and feel inspired to do something similar with your family. Happy Fall, iHeart Organizing Readers! 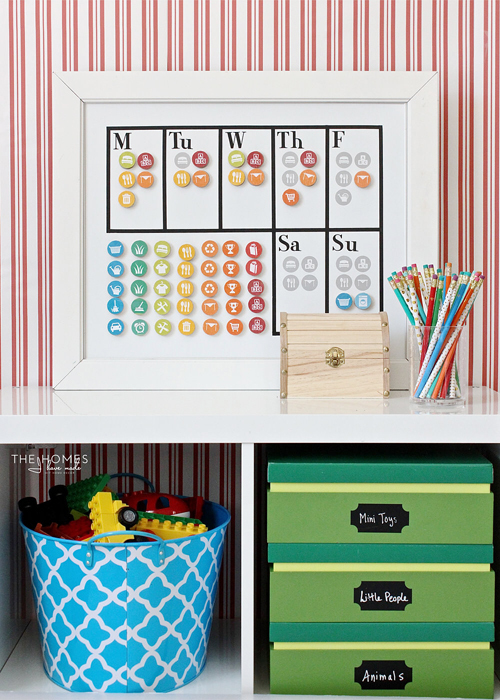 After yet another summer of moving and settling into a new home, I am so excited to be back today sharing a fun, colorful, easy, and oh-so-useful organizing project with you; a DIY Chore Chart! This is a project we’ve been needing in our home for quite some time… and now that it’s done and in use, we are ALL loving it! My kiddo is five and just entered Kindergarten. He has recently discovered the connection between helping around the house, earning money, and being able to buy whatever he wants without Mom or Dad saying “no.” In recent months, he kept asking if there were “jobs” he could do to earn money. And while we loved the idea of having his help and teaching him about work and responsibility, we were sporadic at best in asking him to help AND paying him for the things he actually did! In all honesty, we were at a loss for identifying chores he could realistically do, as well as finding a system for keeping track of how much we were paying for what chores and which chores were actually getting done. We all needed some sort of system! And with a new baby on the way, a chore chart quickly made its way to the top of my To Do List! 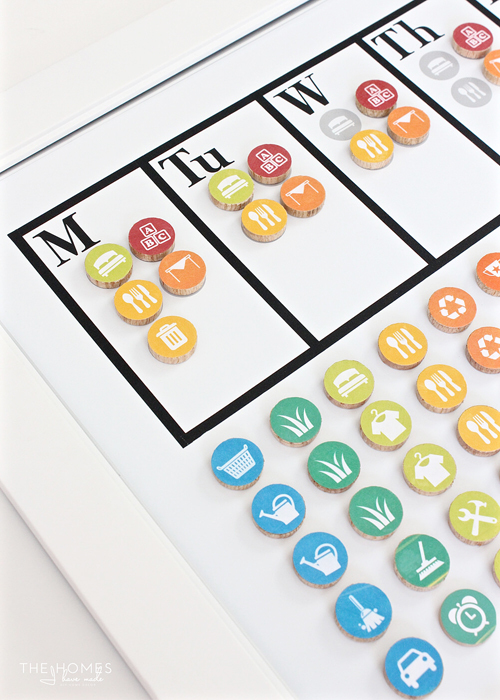 After some serious brainstorming and collaboration among the three of us, we now have a fun, bright, user-friendly, and easy chore chart system that we all love using! First let me show you it works, then I’ll show you how to make one too! 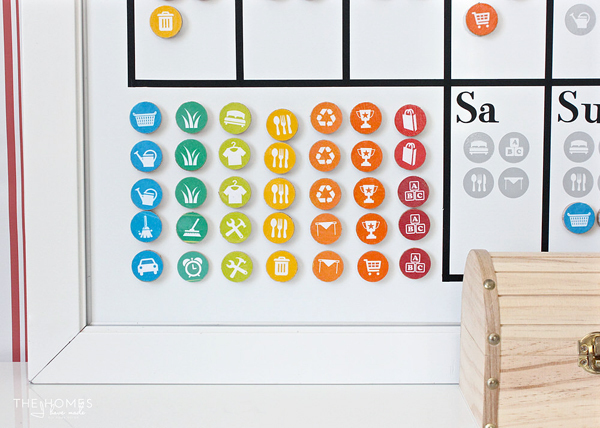 These chore magnets are bright, colorful and easy for many kids to understand and use. 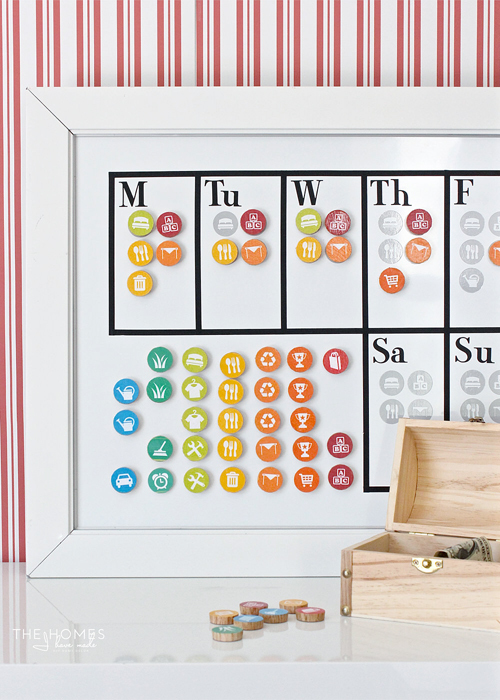 Each magnet has a specific chore on it, represented by a picture. We specifically chose chores that our son could/should do and made the appropriate number of magnets for how many times that chore could/should be done in a week’s time. Once a chore is done, it’s moved out of the “bank” and onto the day of the week it was performed. My husband had the idea of “pre-populating” certain chores on certain days of the week to provide some accountability. Using some grey vinyl, I made corresponding stickers that match the magnets and placed them on specific days. The “trash can” sticker corresponds to our trash day, the “laundry basket” sticker to our laundry day, etc. Not only does this help my son understand what needs to get done in a day, but also sets a baseline expectation of his responsibilities around the house. In addition to chores that “should” get done each day/week, we also made other magnets that correspond to helpful things he can do at anytime. Chores like helping with groceries, sorting the recycling, cleaning out the car, and getting the mail can be moved up whenever he does them! 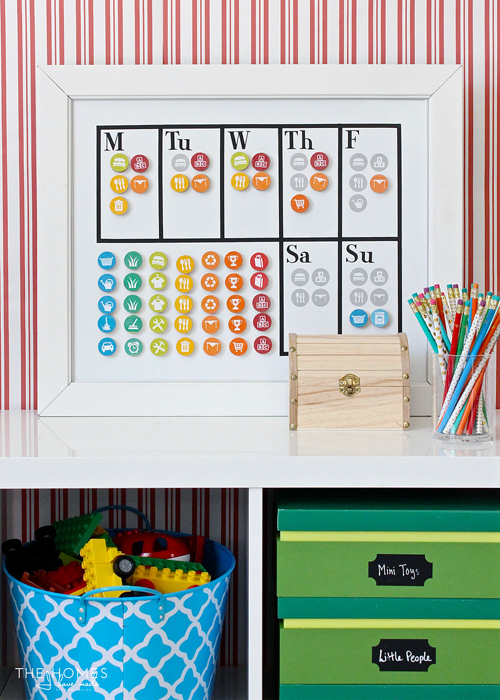 On Sundays, we help him count up all the chore magnets he has earned throughout the week and pay him his allowance accordingly. We are currently paying him $0.10/magnet, which on a really helpful week, adds up to about $3-4. 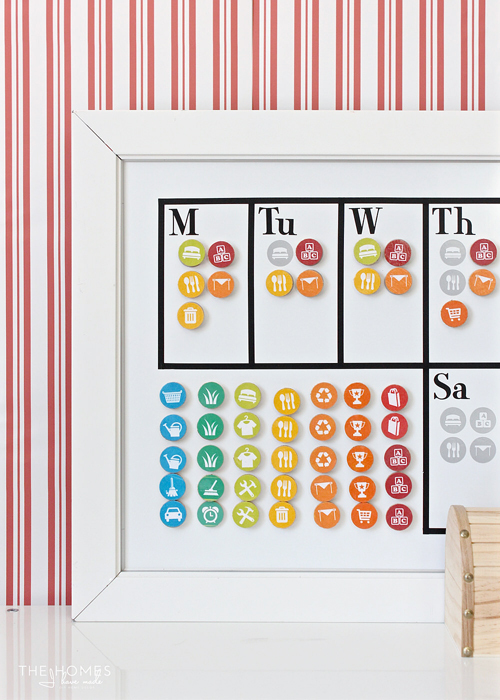 Not only have we discovered that he is VERY motivated to do his chores JUST to move the magnets on his chart, but being able to count everything up at the end of the week is easy and efficient for us and educational for him! 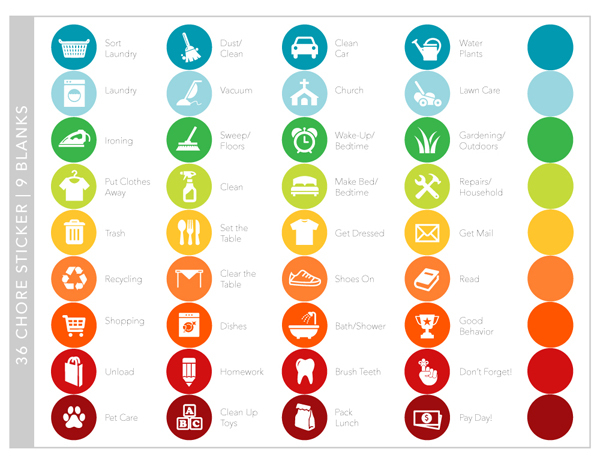 We’ve been amazed at how effective this chore chart has been for our son and our family… but do you want to know the best part? It’s super simple to make! It may not look like it, but this can easily be pulled together in just an hour or so! Let me show you! 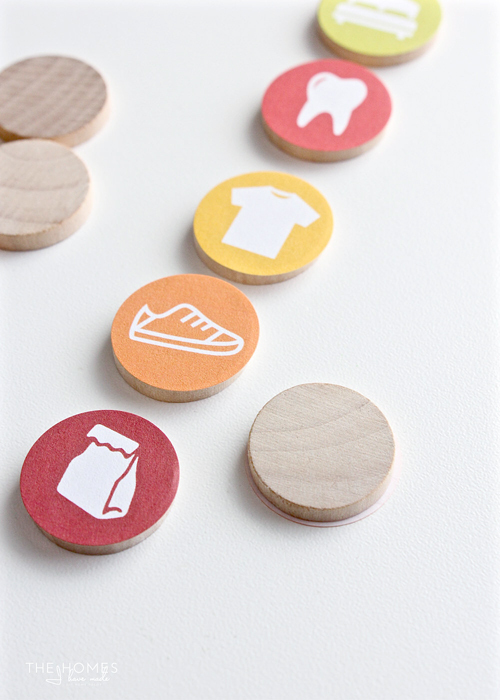 The best part about these chore magnets is that they come together super fast thanks to pre-printed stickers. 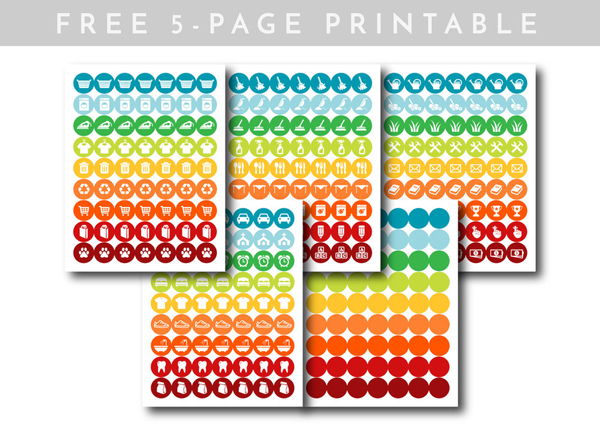 All you have to do is download the file and print them out onto AVERY 6450 1” Round Stickers! You are certainly welcome to make your own images for your magnets, but I brainstormed and came up with 36 different images that could apply to a variety of tasks and ages. I have them, as well as a page of blanks (for you to add your own images), available for FREE download right now over on my site HERE! The next step is to simply “peel and stick”! 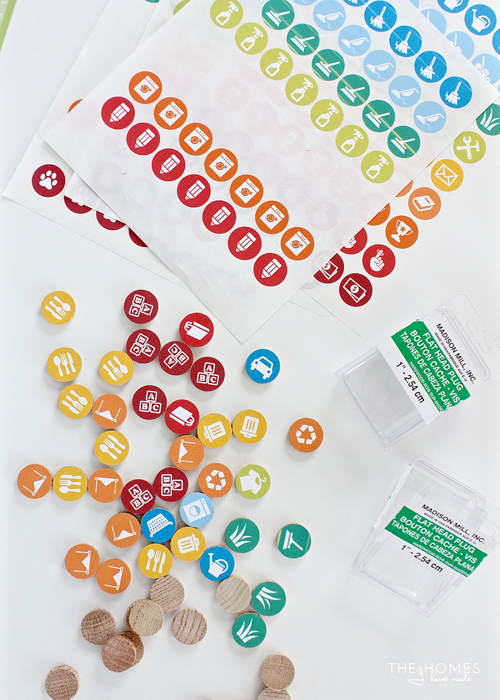 Determine which chores (and how many of each) you need and apply the stickers directly to the tops of the 1” flat head plugs. 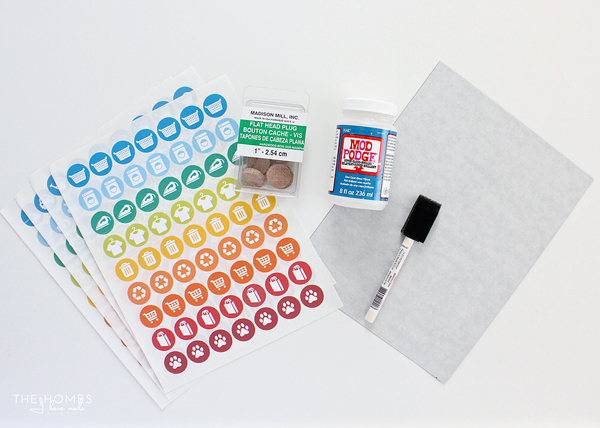 This next step is optional, but I do recommend it in order to keep the stickers in place (especially if your child likes to peel stickers off like mine does!). 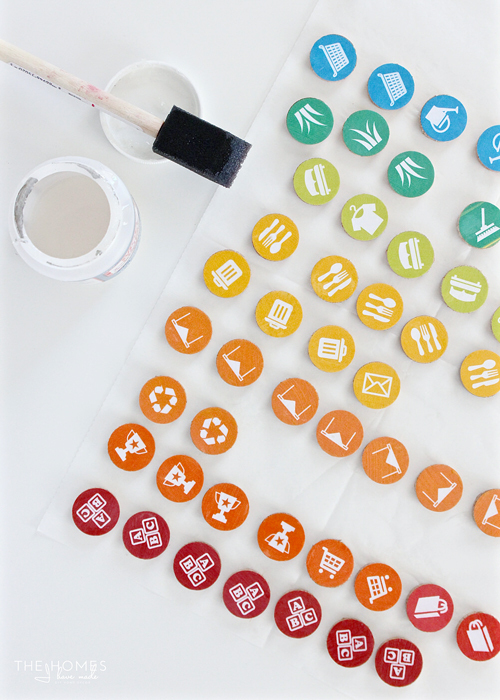 Once the stickers are attached, use some Mod Podge and a foam brush to coat the tops and sides of each plug. Not only does this seal the edges and make the stickers a little more resilient against little hands, but it also makes the colors a bit more vibrant! 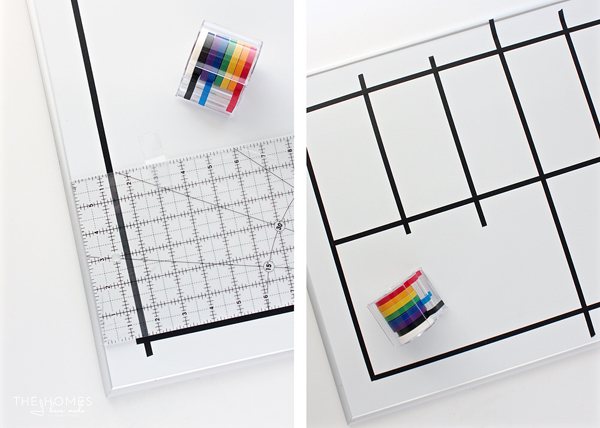 While the Mod Podge is drying, cut down the adhesive magnetic sheet into sizes/shapes that fit your 1” plugs. 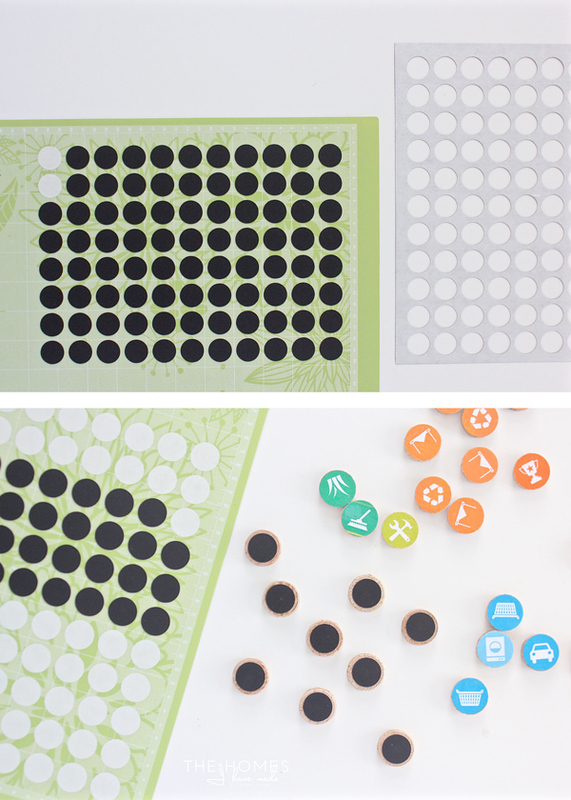 You can easily use a scissors and trim the sheet into squares or circles, but I chose to run mine through my Cricut Explore to cut a bunch of 0.75” circles. 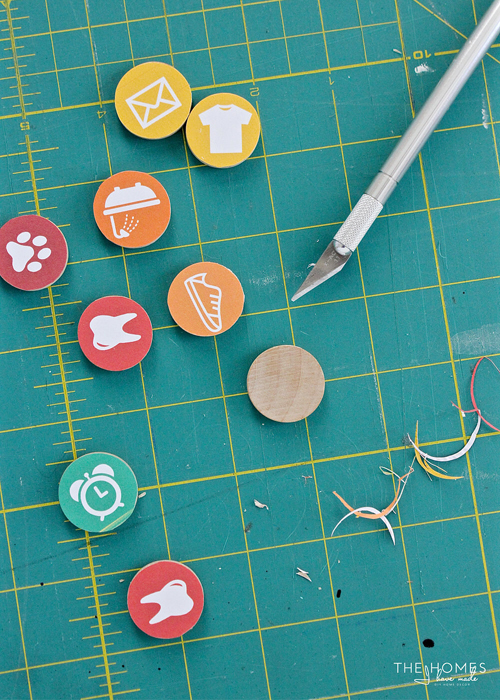 Here’s a little tip if using your e-cutter to cut the magnetic paper. 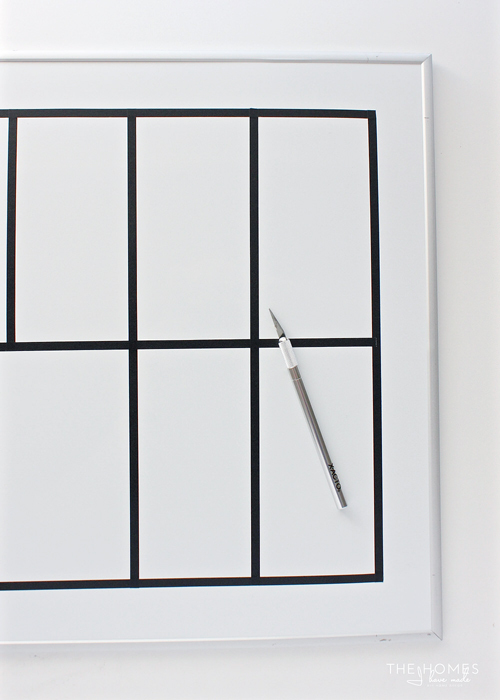 Place the paper side down (magnetic side up) onto your sticky mat. 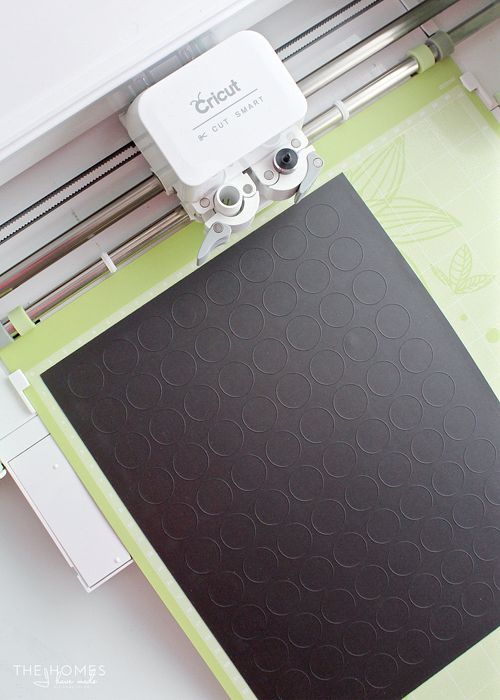 Once the shapes are cut, all you have to do is peel away the cut magnets, leaving the white paper stuck to the mat. 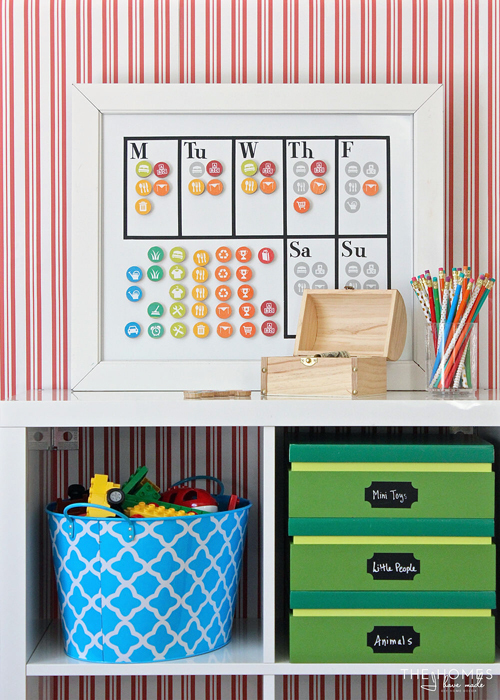 This way, you don’t have to deal with peeling away tons of paper circles for each magnet! 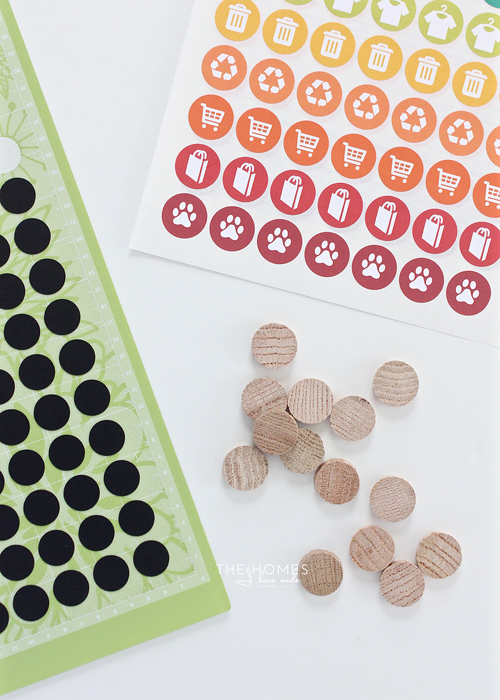 When using the AVERY labels and the magnetic paper cut into circles, these chore magnets really are peel, stick, and go! As you might suspect, it turns out that “1 inch” is not standard across all things, paper labels and wooden rounds included. I found that the 1” flat head plugs are a perfect fit to the AVERY labels because of their tapered shape. I experimented with other 1” wood rounds; and as you can see below, the labels didn’t fit quite right! I really wanted this project to be peel, stick, and go, so I chose to use the thicker plugs (and my son liked them better). However, if you go with something that doesn’t fit quite right, simply attach the sticker, flip them over, and trim away the excess with a sharp craft knife. It’s a bit tedious, but gets the job done! As I said, with the magnets made, you can essentially stick them to any thing and any place that is magnetic and makes sense for your family. Our refrigerator isn’t magnetic, so I chose to make a dedicated board for my son’s room. I started with this 16x20 dry-erase board from Target. Then, using some skinny black washi tape, I taped out a simple grid. I didn’t stress too much about measurements or straight lines… and allowed the tape to overlap at the corners. Then, using a sharp craft knife, I cleaned up each corner to create a pretty grid design. Next, I used my Cricut Explore to cut out letters for each day of the week, as well as corresponding stickers in grey vinyl. 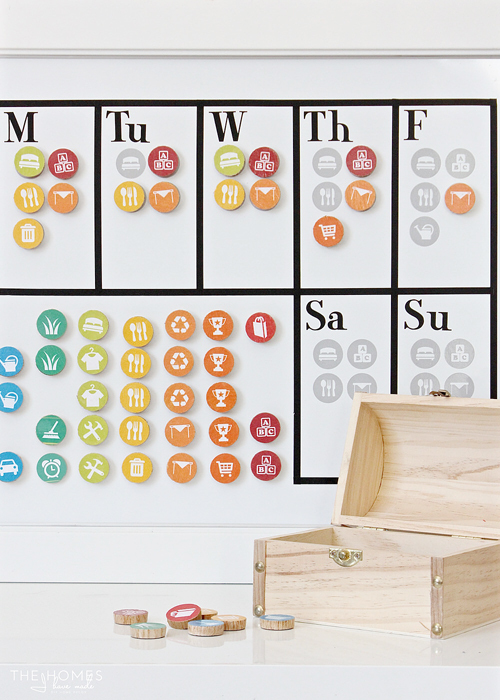 Each sticker was placed on the right day of the week to guide when each chore should be done. Psssst - Don’t have an e-cutter? Simply re-print the stickers on grey-scale and stick the AVERY 1” stickers right to your board! I gave our chore chart a little more presence by loading it into a 16x20” frame I had on hand. 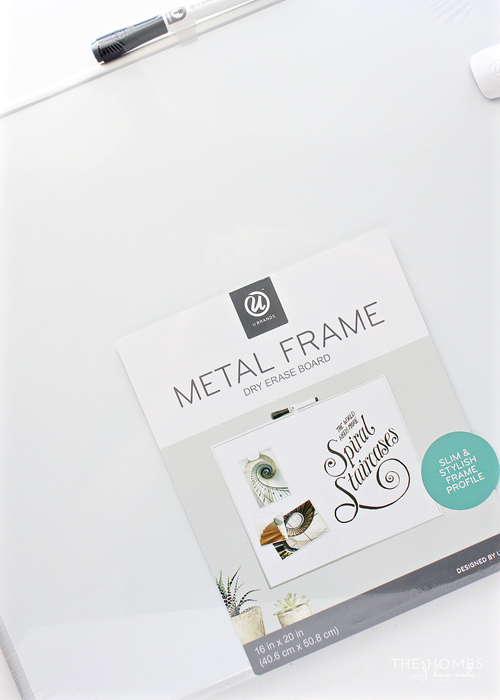 Mine was a pretty snug fit, but you could always add a few drops of super glue to hold the magnetic board into the frame as necessary! 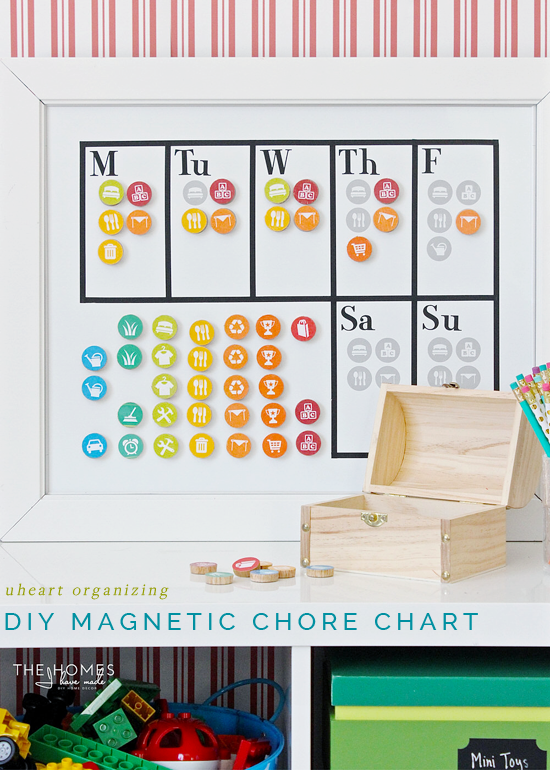 Finally, load up the magnetic board with all the chore magnets. 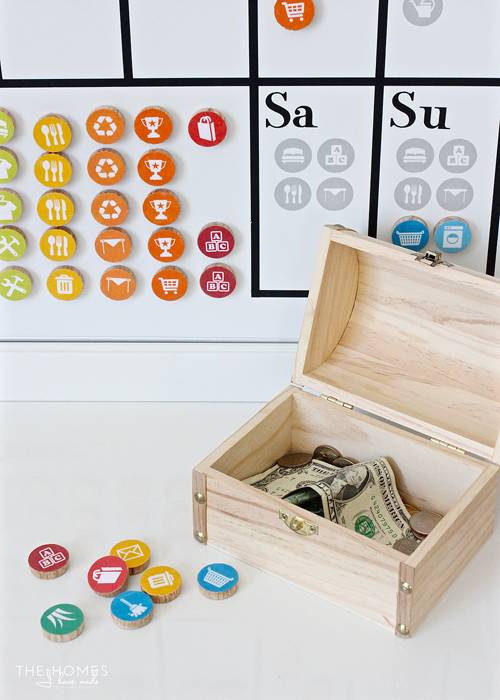 I placed our “most used” ones right onto the board itself and put the rest into the little wooden treasure box where my son stores his money! 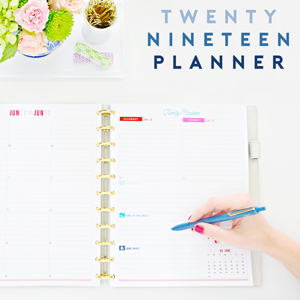 As an organizer, DIYer, and lover of bright and pretty things, I often dream up these elaborate organization projects that are fun to make and look great… but unfortunately (sometimes!) go un-used or don’t quite work the way I envisioned. I was worried this chore chart would be one of those. However, we have been using this system for about 2 weeks, and I am honestly blown away at how much we all love it. My son LOVES moving his magnets from the bank to the right day once he’s completed them. So much to the point that when he resists setting the table or making his bed, I can say “Well, then I guess you don’t get your magnet today!” and he jumps right to work! 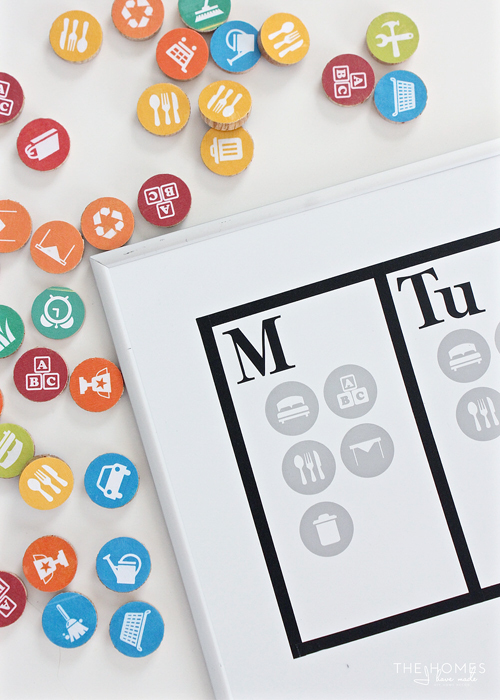 For those of you looking for a fun and easy way to get your child motivated about doing chores, I do hope you’ll give this system a try! It’s been such a positive change in our household, and I am excited to see it grow and expand as my son gets older. 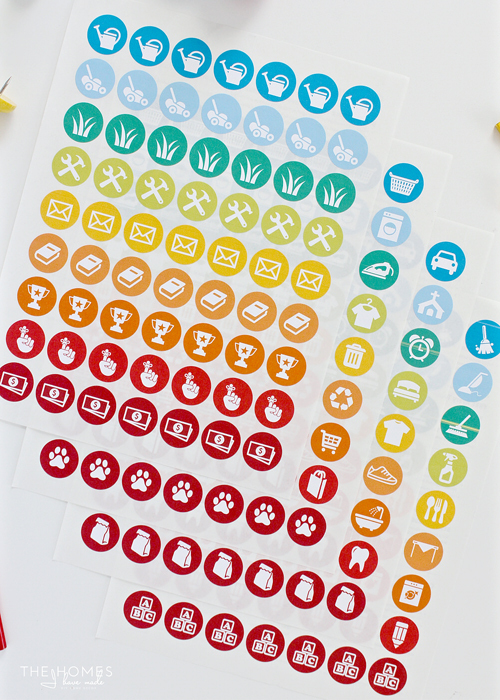 Don’t forget that I have the sticker files available for FREE download right now over on The Homes I Have Made, which will make pulling this project together quick and easy! 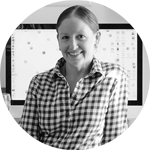 As always…a huge thanks to Jen for allowing me to stop by and share this project today! Happy organizing, friends! See you next time! This is absolutely brilliant. It is so professionally finished and wouldn't look a miss in a shop! 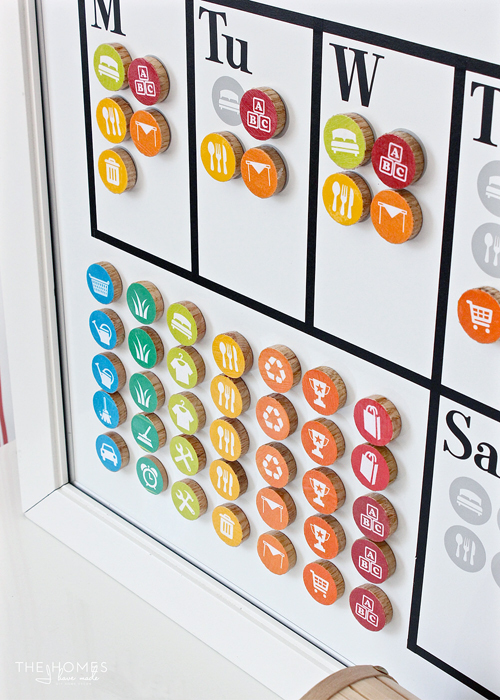 I seriously love this way of organizing chores. It doesn't make an eyesore in your home of chores that need to be done, it’s a creative wall piece. I’m also glad to hear that it works! 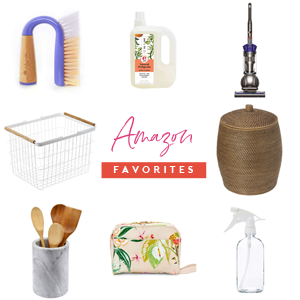 I’m just starting my family, and I want to make sure that my children really contribute to the overall cleanliness of the home, and that also makes my wife happy as well. Thank you so much for sharing! This looks great- I think our 2nd grader would love it! She is so hands on. I am a little hesitant to assume that I could make it look as pretty as yours & that Cricut Explore cuts those magnets perfectly. Thanks for the idea- here's hoping I an pull it off! Where did you get the icons? I'd like to match with some more chores I need! 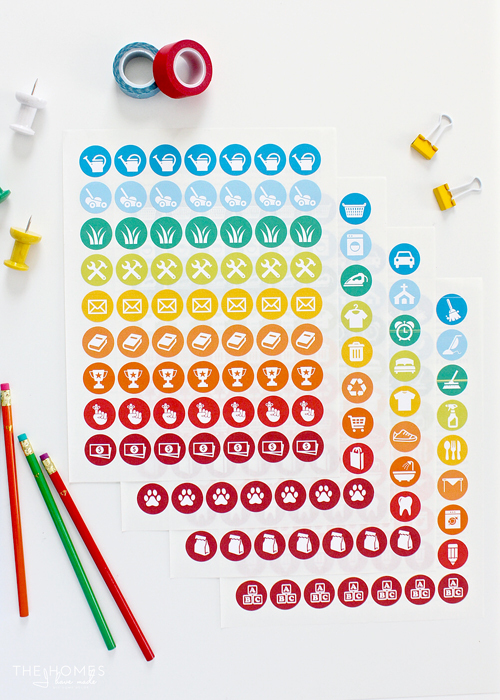 Can you still download these chore chart stickers for free? They're perfect for what I need! I can't find a link though.